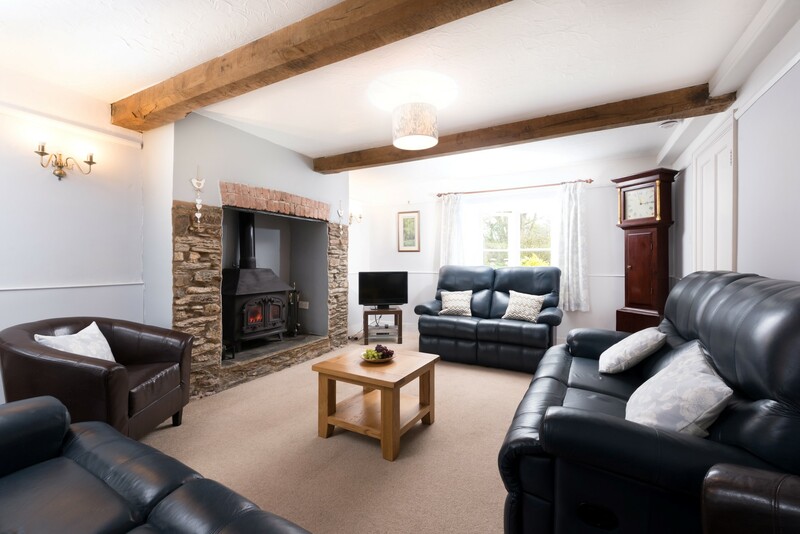 Whether you are someone who always like to book late and never plan too far in advance or perhaps you’ve just made a last minute decision to escape ‘normal day life’ and fancy a change in scenery, My Favourite Cottages are here to help you find the perfect property to enjoy a last-minute break. 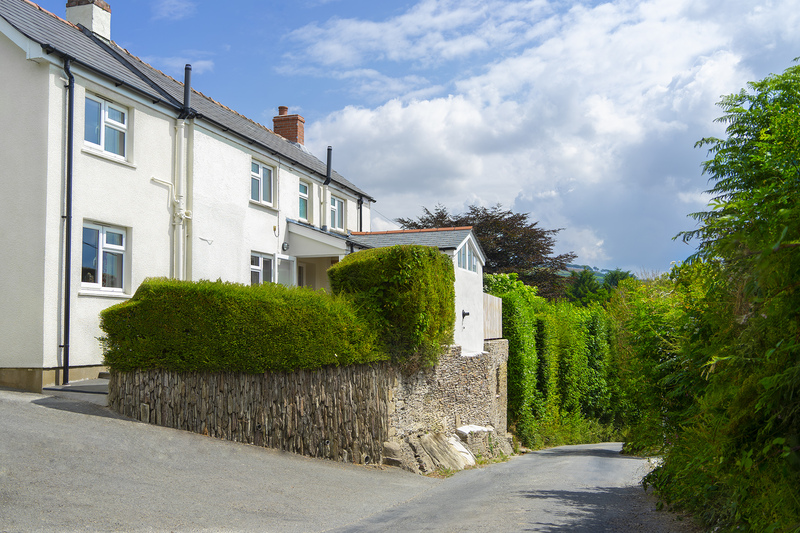 We’ve got a great selection of properties that are just perfect for that last minute getaway, whether it’s for a long weekend, a mid-week break or a week away. 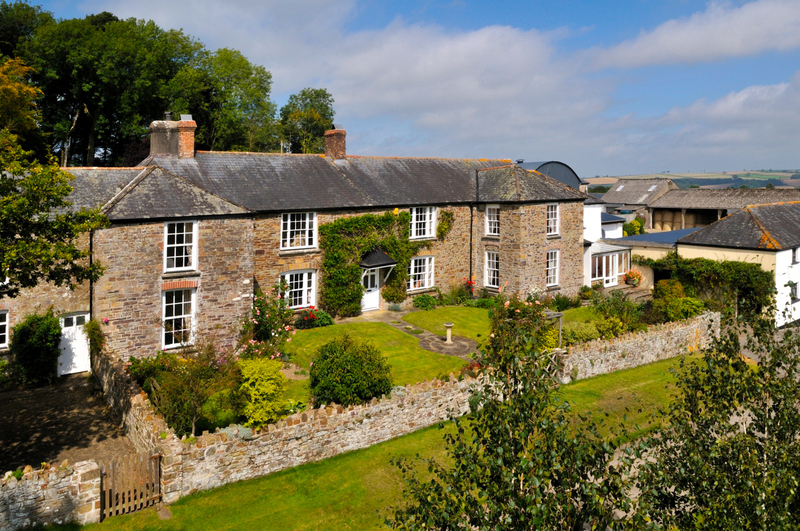 We've got properties available to book last minute that are ideal for couples, families and even your four-legged friends across Devon, Cornwall, Somerset and Scotland. 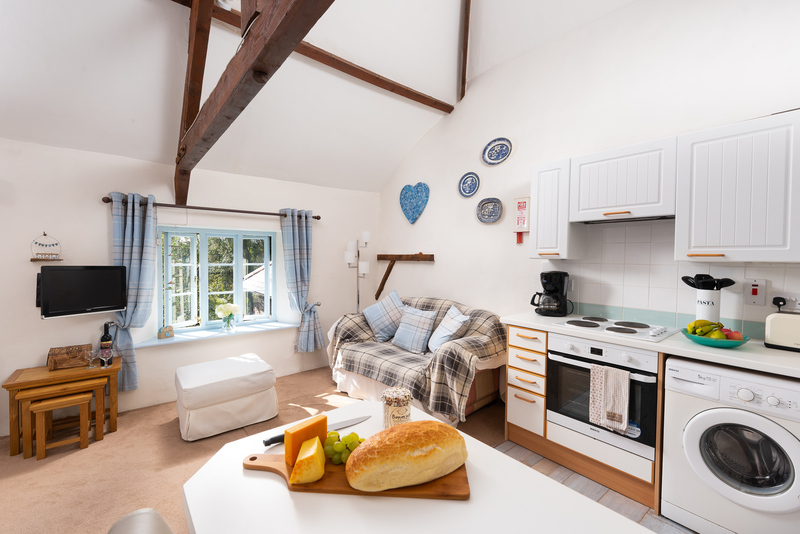 Some of our cottages also have some great special offers so you can also save some pennies and treat yourself to a break at amazing value. 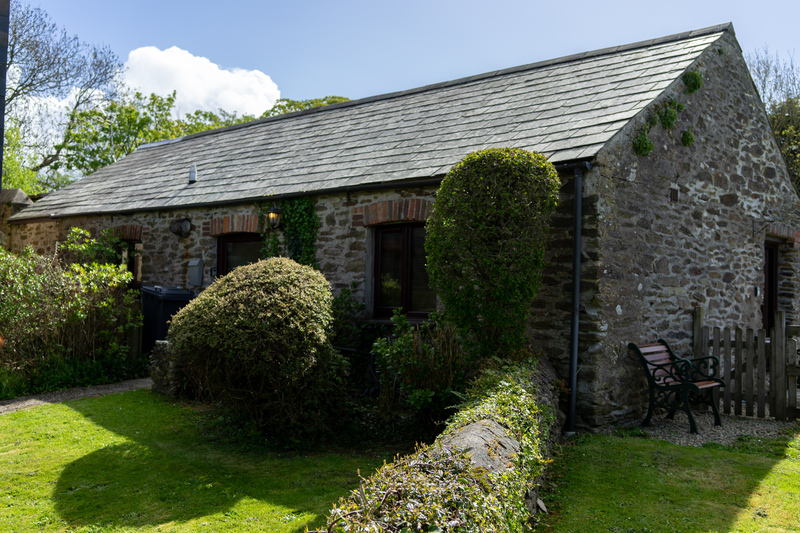 Choose from our selection of self-catering properties with late availability below or give us a call on 01271 377 432, we’ll be happy to help you plan your last minute getaway. Never miss out on our latest offers! 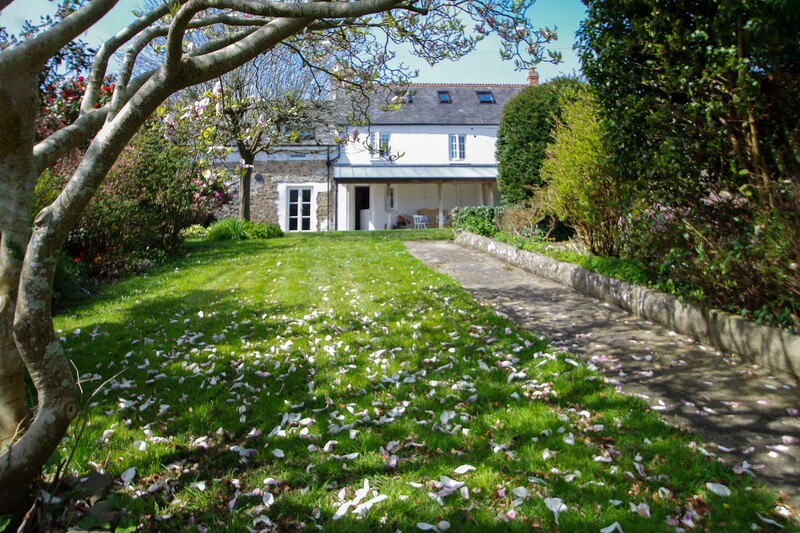 Berry Farm is a seven bedroom period farmhouse that is exceptionally spacious throughout to comfortably accommodate up to 16 people. 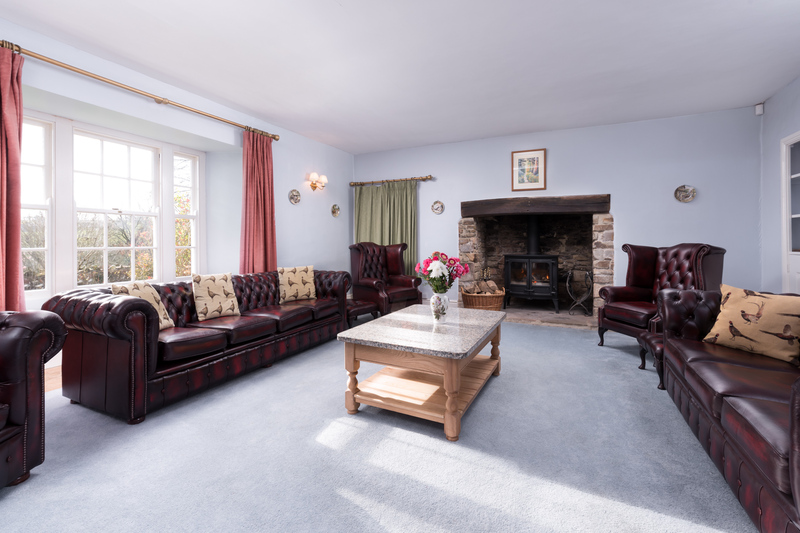 A wealth of traditional period features along with comfortable furnishings and stunning countryside views create a wonderful family friendly and dog friendly holiday home in a truly peaceful and idyllic setting in the Torridge Valley. 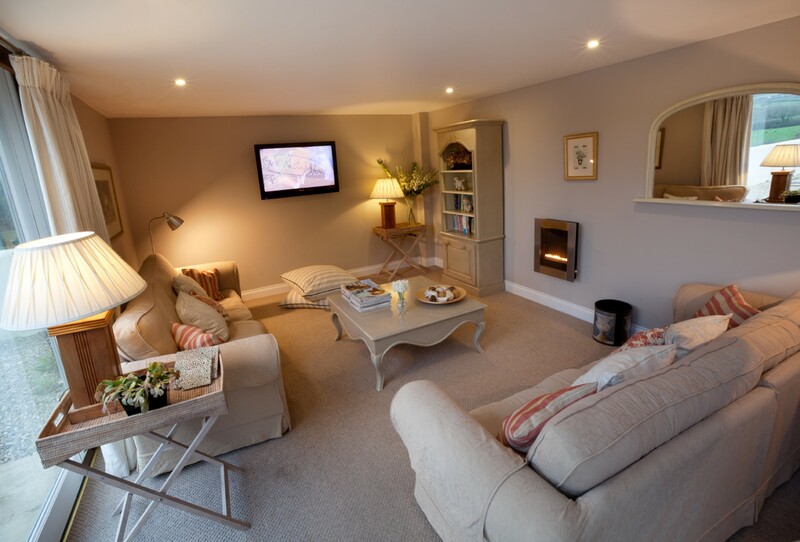 The Stables Parkgate is a luxury six bedroom holiday cottage in Tawstock near Barnstaple. 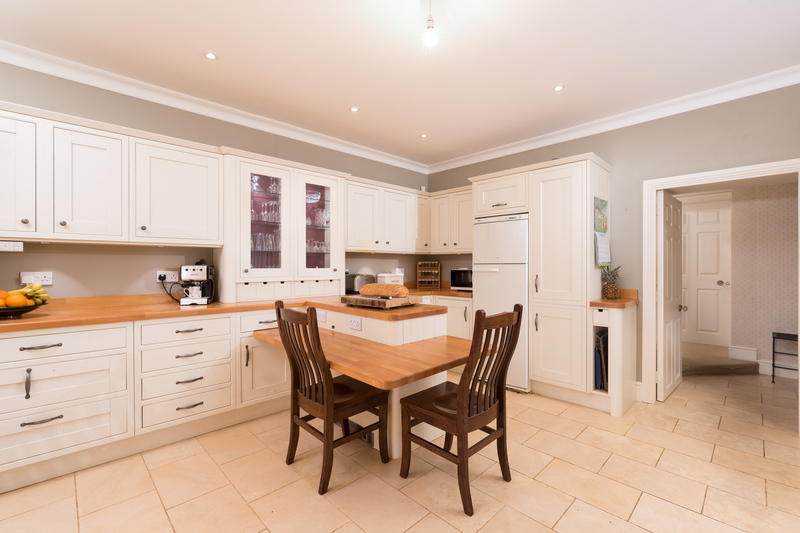 With six bedrooms, all having their own en-suite bathrooms or shower rooms, underfloor heating and televisions, the Stables has touches of quality and class throughout. There is plenty of space in the modern kitchen, large dining room that seats 12 and a lounge with direct access to the patio. 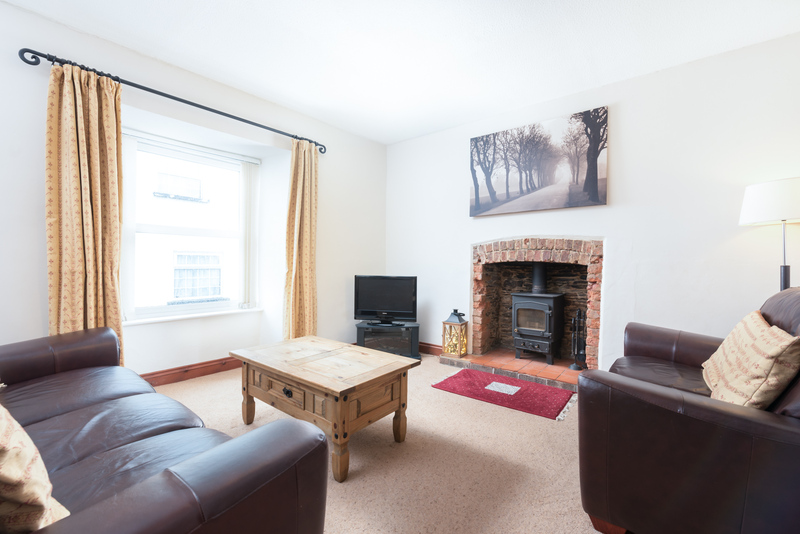 The location of The Stables is great with the main link road being a short drive away, this leads to Bideford or the beaches around Braunton, a fantastic position and popular holiday cottage. 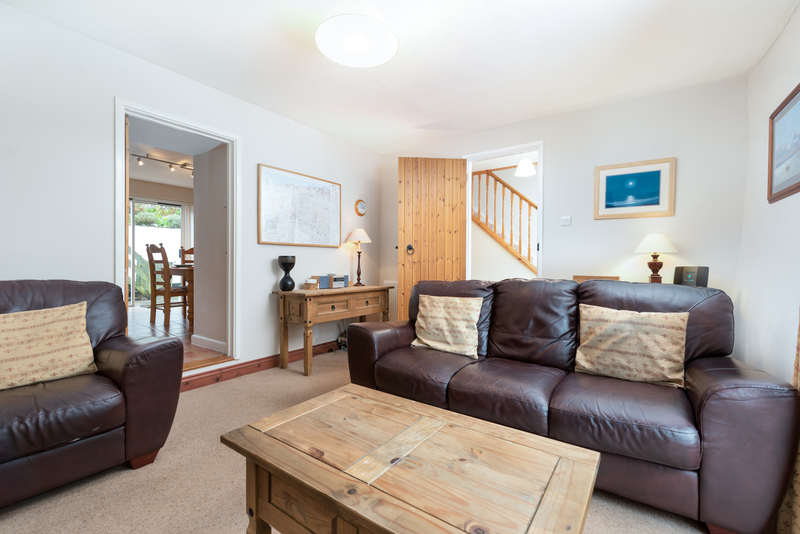 Furnished and finished to a very high standard, Kittiwake House in Braunton in Devon is an excellent family friendly six bedroom holiday house that sleeps 12 people. 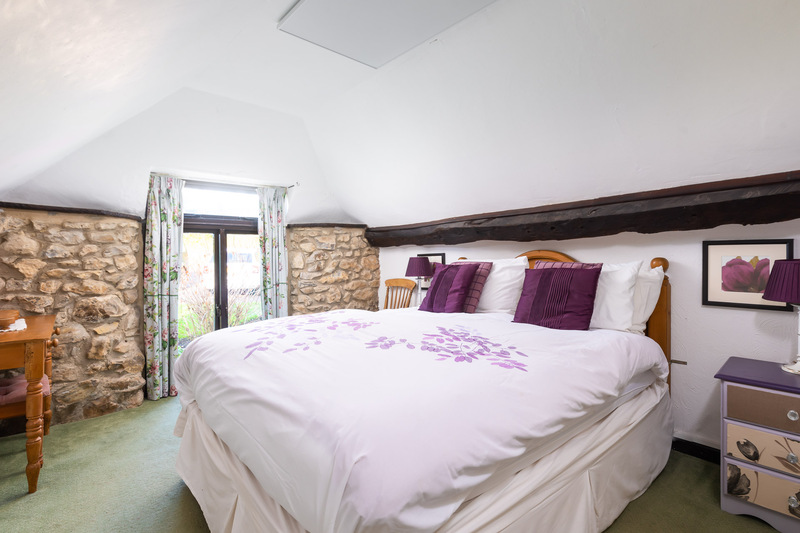 Situated in a lovely quiet part of the village, packed full of beautiful character cottages, it is only a minutes’ walk to the shops, pubs and restaurants in the centre of the village. 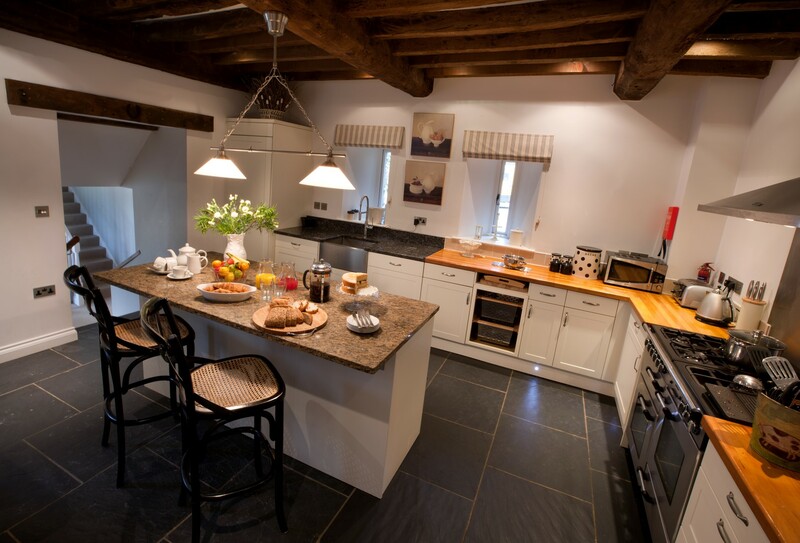 Doly’s Barn at Higher Mullacott Farm is a superb six bedroom barn conversion that sleeps up to 11 people. 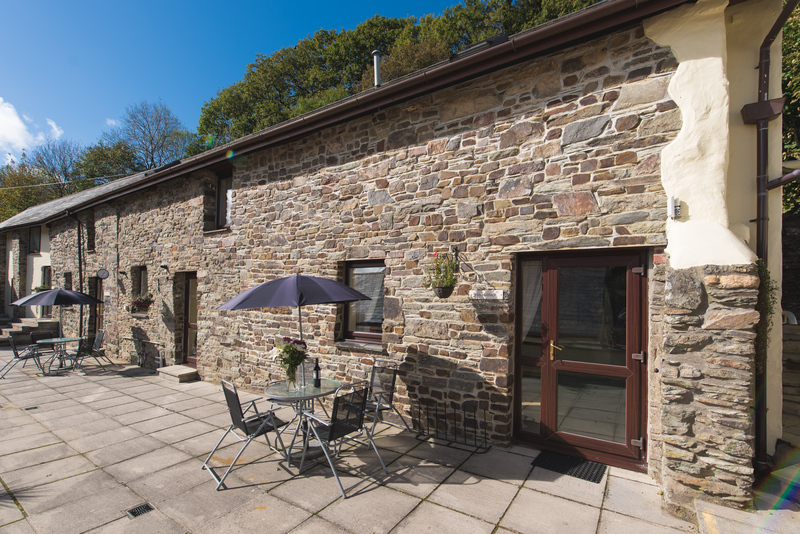 If you are looking for a large holiday cottage with easy access to Woolacombe and yet in a rural location with a kids play area, Dolly’s Barn is a great choice. 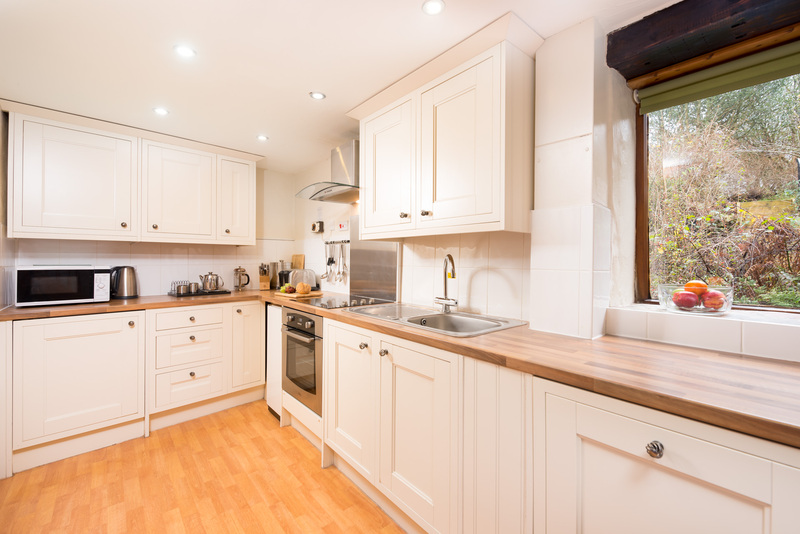 This conversion combines the charm of a traditional Devon barn alongside modern open plan living and a very well equipped kitchen. 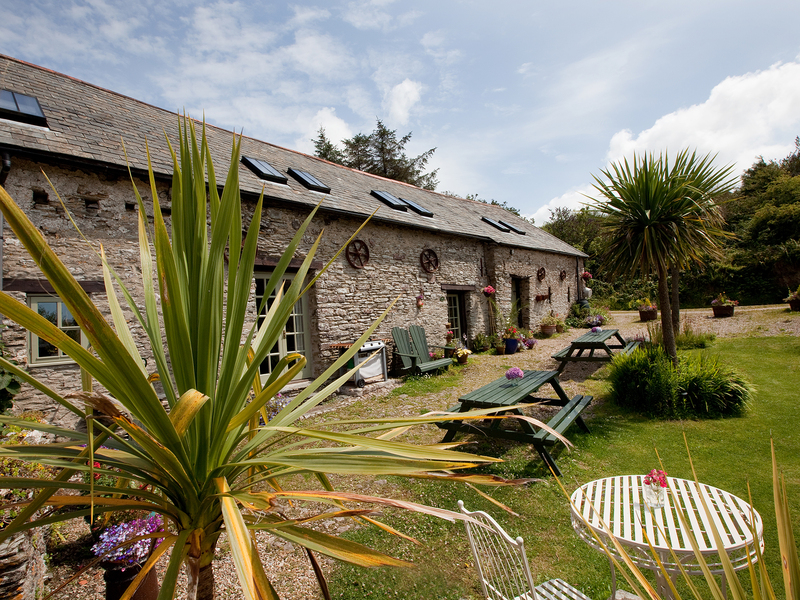 Talland Croft is a family friendly cottage set in the pretty North Cornwall village of Crantock. 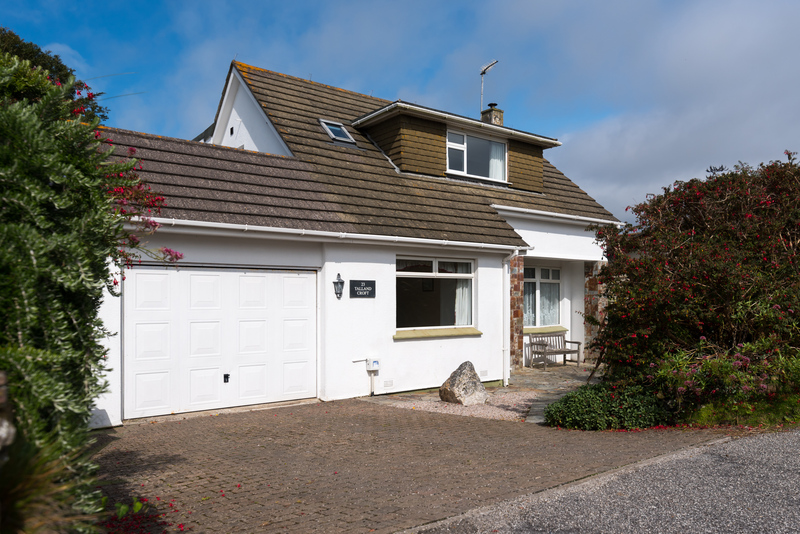 This large detatched 5 bedroom holiday home comfortably sleeps up to 10 guests and is within walking distance of both the village centre and its beautiful sandy beach. 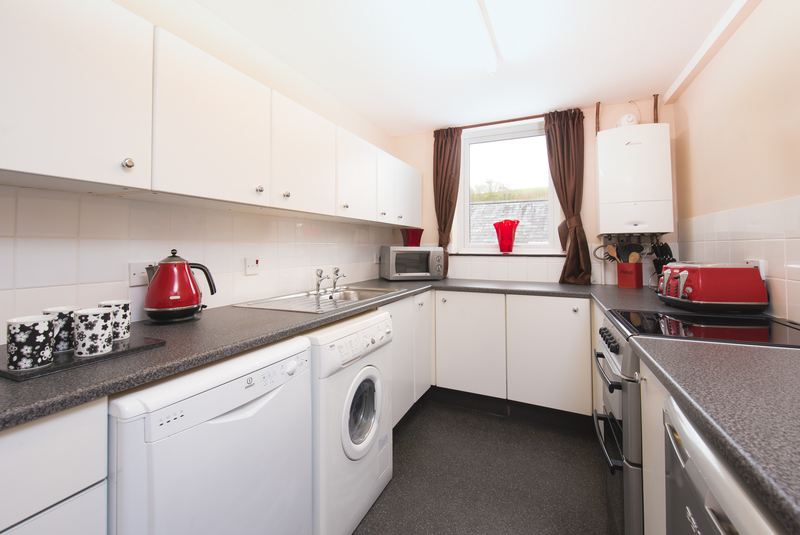 Bright, spacious and comfortably furnished throughout with its own enclosed garden, it also welcomes dogs. An excellent choice for large groups and families looking for a beach holiday on the Cornish coast. 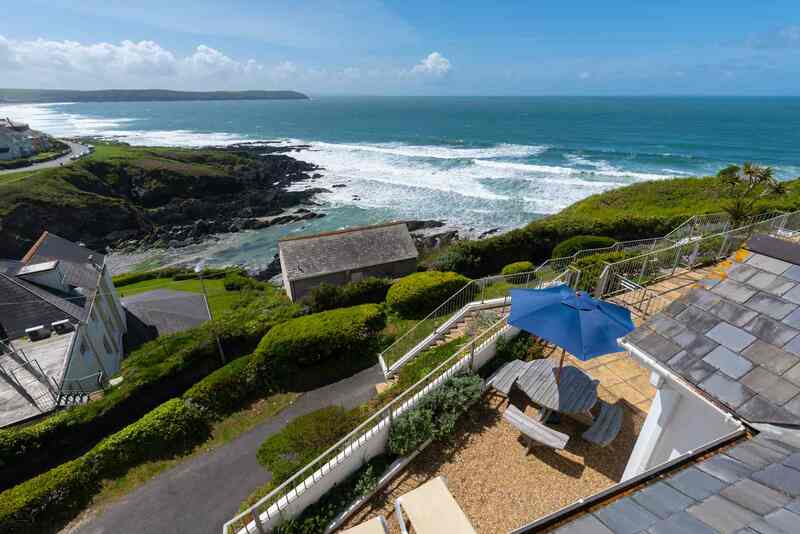 Berwyn in Crantock is a five bedroom holiday cottage in Crantock on the north Cornish coast with a superb beach, ideal for a family looking for a large holiday cottage in this popular village. Berwyn is perfect for a beach holiday, enjoy the surf and stay in a superb Victorian town house. 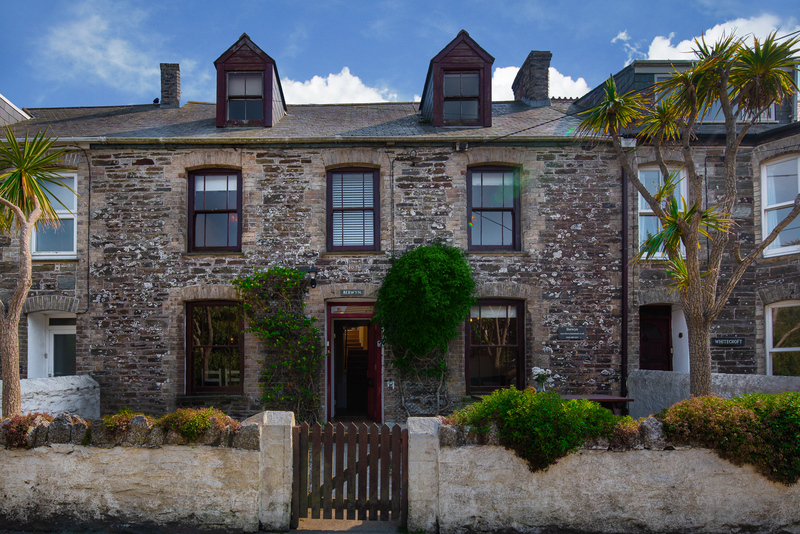 Berwyn sleeps up to 10 people and combines modern facilities with Victorian elegance in a period property that retains many features and is just a 10 minute walk down to the beach. 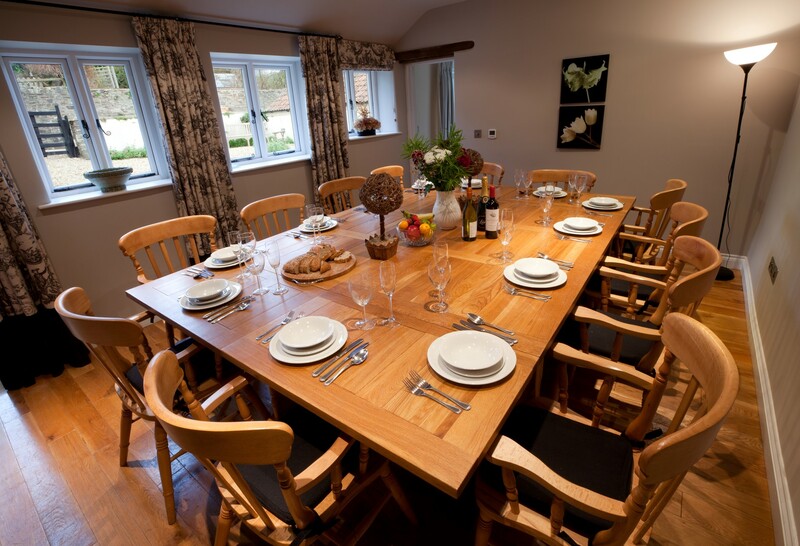 South Patchole Farm is a traditional farmhouse cottage comfortably sleeping up to 9 guests in 4 bedrooms. 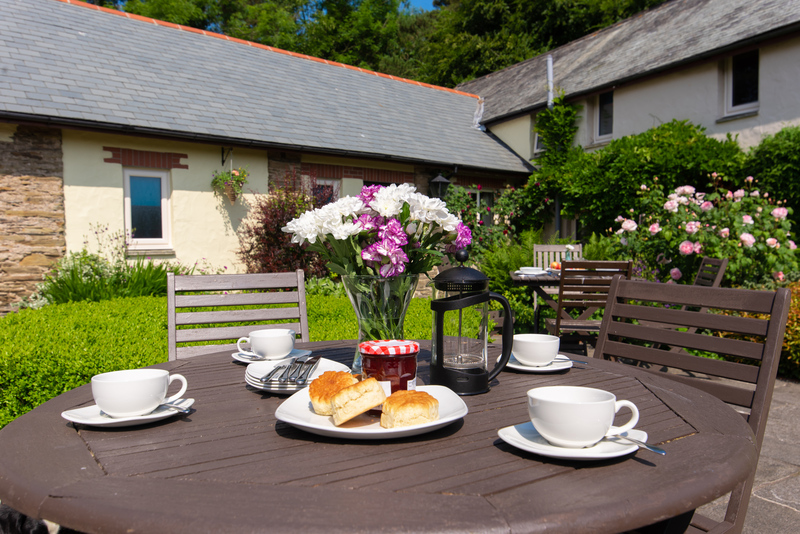 This wonderful rural retreat surrounded by beautiful unspoilt North Devon countryside provides excellent family friendly self-catering accommodation with plenty of character and charm, ample space and the North Devon coast, Exmoor National Park and a whole host of family attractions all nearby. 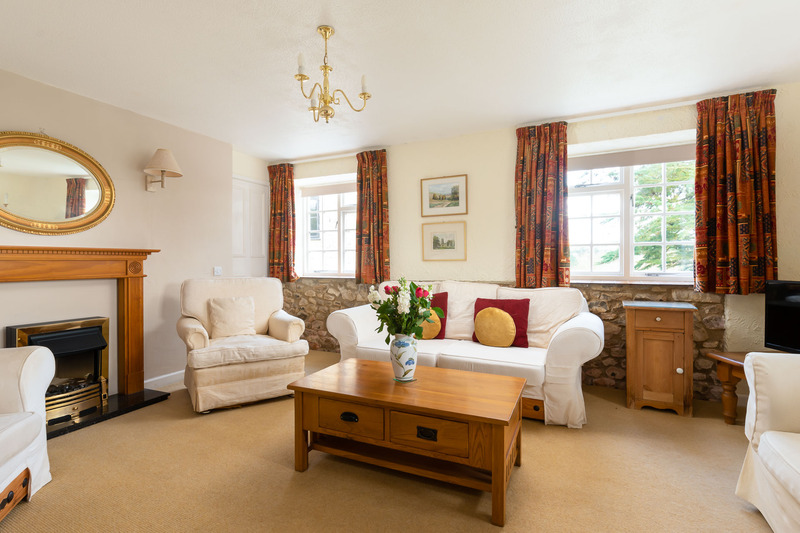 Ford Hill Cottage is a beautiful 3 bedroom holiday cottage in North Devon in Kentisbury. 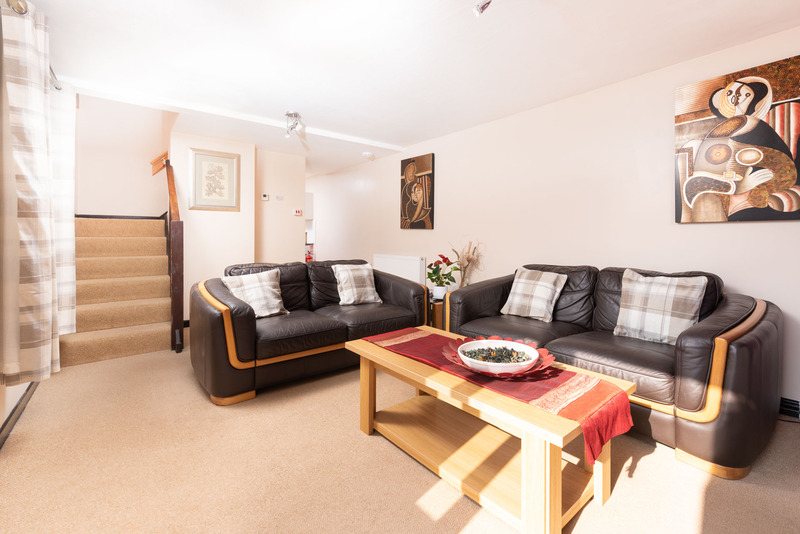 The location is perfect for families that are looking for a brilliant base to explore the area, set on the edge of Exmoor, Kentisbury is also ideal for the beaches at Woolacombe and Putsborough, Combe Martin is just a short drive away and there are two major family attractions nearby. 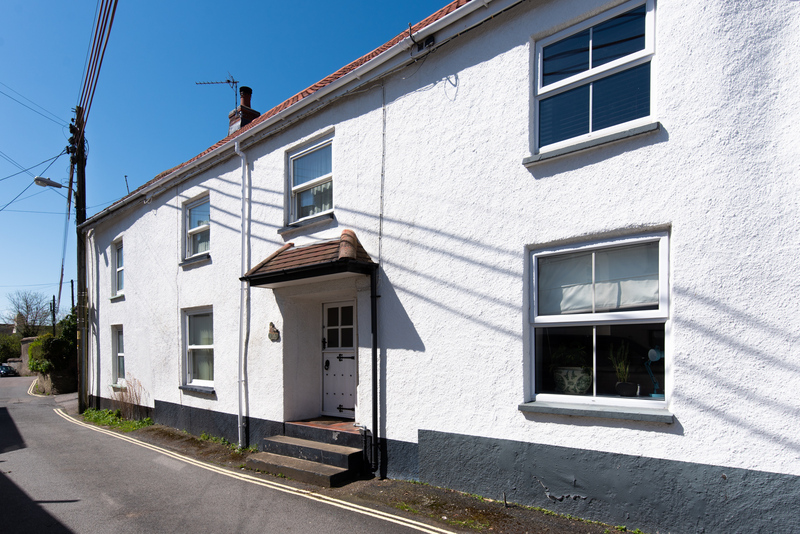 A three-bedroom cottage packed full of character and charm, close to the centre of Braunton is an ideal choice for families wishing to explore North Devon and all that it has to offer. It is only a short walk to the centre of Braunton and its good choice of restaurants, shops, cafes and pubs. For those looking for a beach holiday, the beautiful North Devon coast and the beaches at Saunton, Croyde and Woolacombe are all nearby and popular with families and surfers alike. 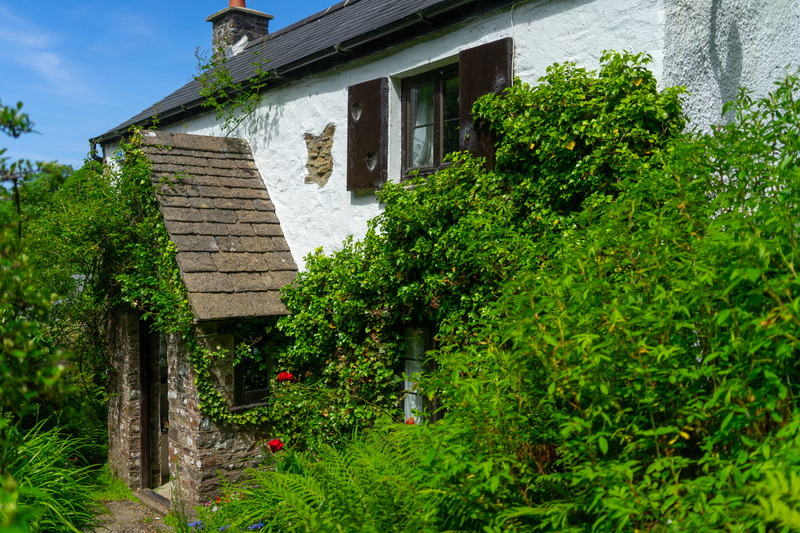 Aggie’s Cottage at Higher Mullacott Farm is set in its own grounds high above the cliffs above Ilfracombe. 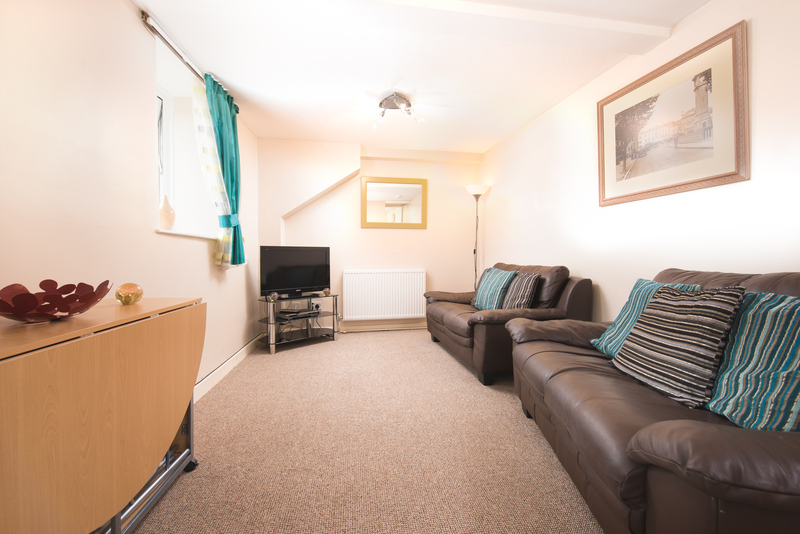 It is perfect for a family of up to six with three bedrooms and a small private garden area with BBQ. 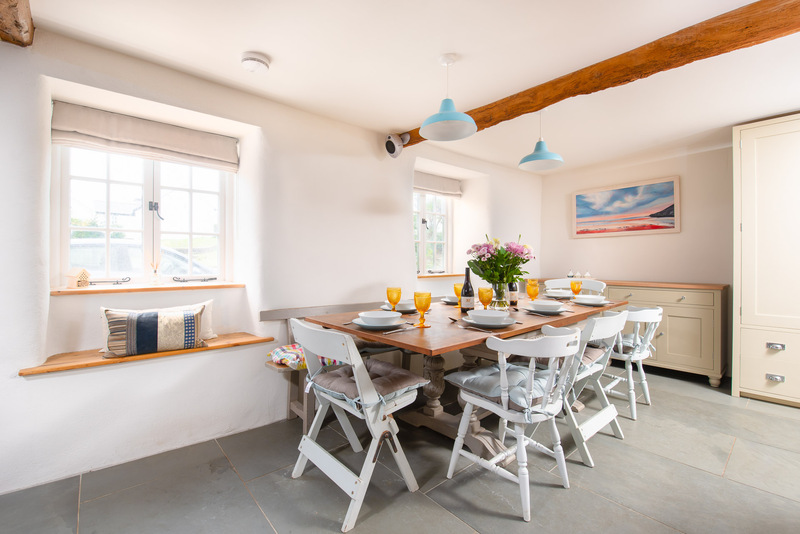 This renovated barn, a traditional Devon Longhouse has been beautifully renovated and is perfect for children with a huge communal garden with play area and even a football pitch. 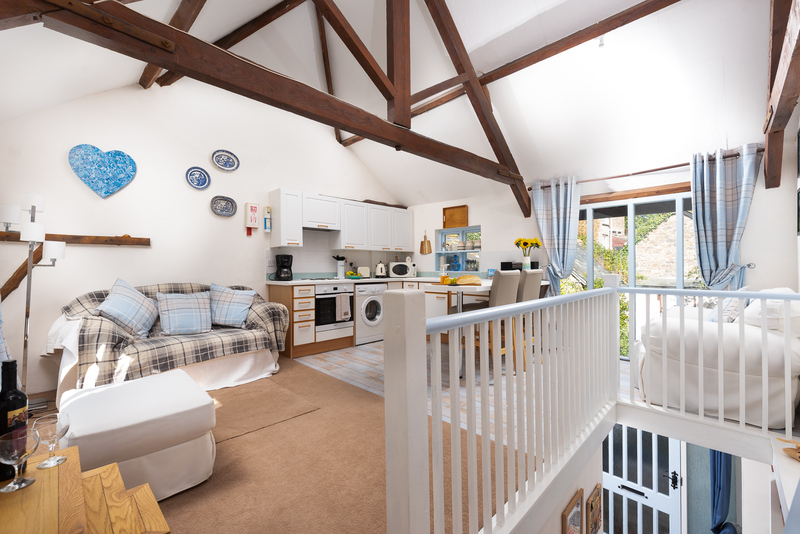 It's ideal for Woolacombe and Putsborough beaches and you can explore Exmoor from the cottage. 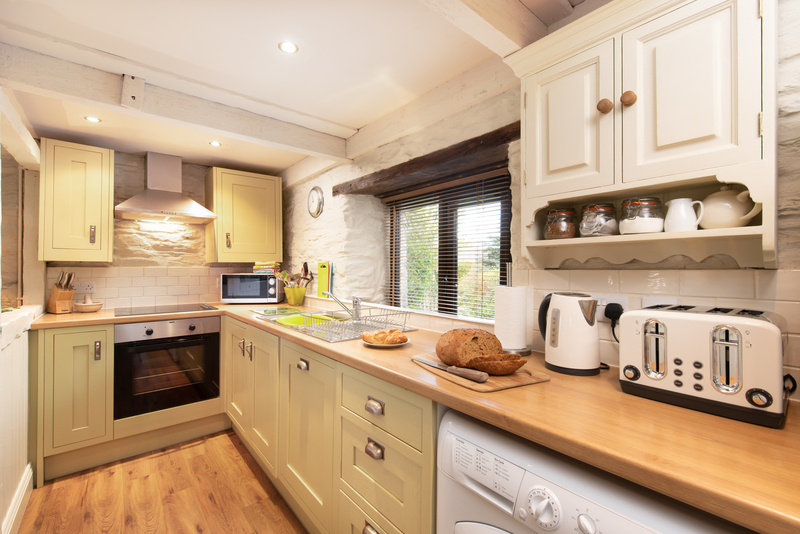 Duror Cottage at Lower Aylescott is a wonderful ‘home-from-home’ choice for friends and families looking for a relaxing countryside holiday in North Devon. 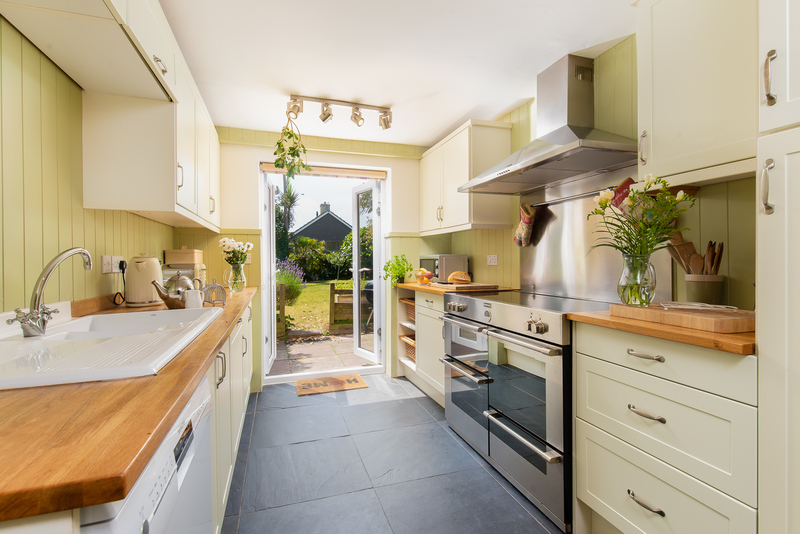 This three-bedroom cottage provides a lovely mix of character with modern day style in a quiet countryside setting just outside the North Devon village of West Down. The North Devon coast and beaches, plus many local family attractions are also within easy reach. 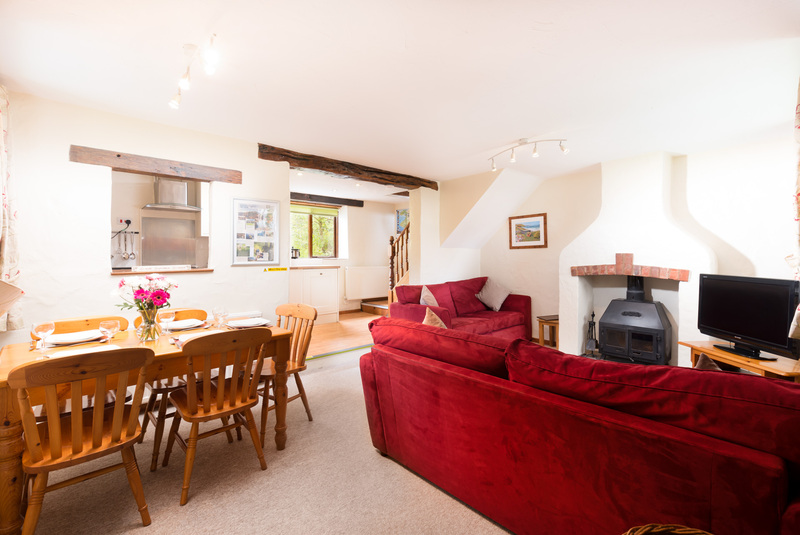 A 15% saving for all last-minute holidays booked at Duror Cottage. This late availability discount only applies to all 7 night last minute stays booked 14 days before arrival. 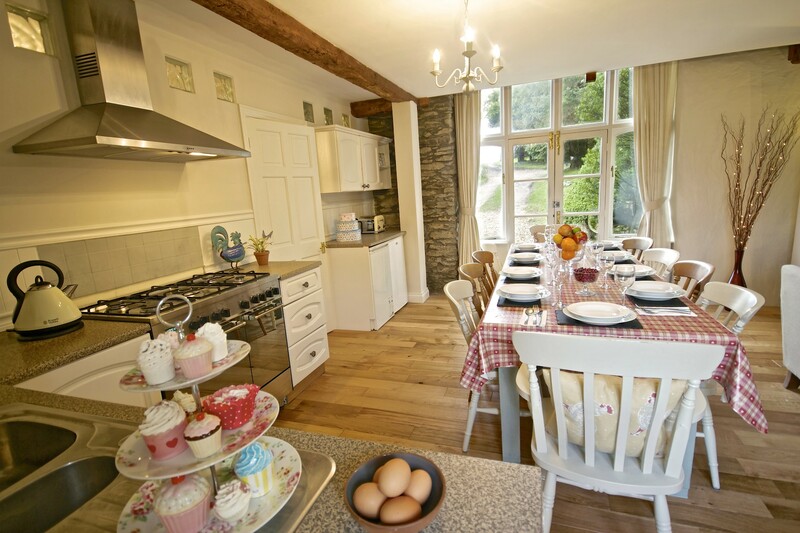 Enjoy a 10% saving on a Easter break at Duror Cottage. 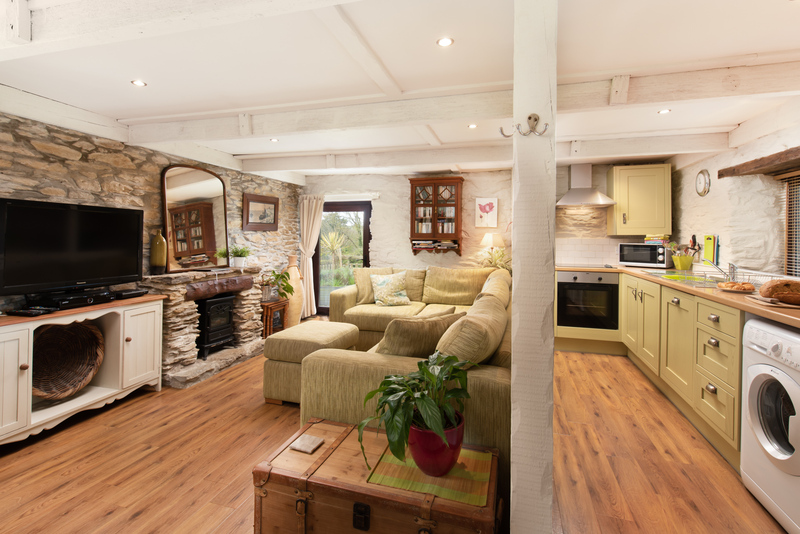 The Byre at Wheel Farm is a 3 bedroom stone built cottage that sleeps 5 people and is pet free. 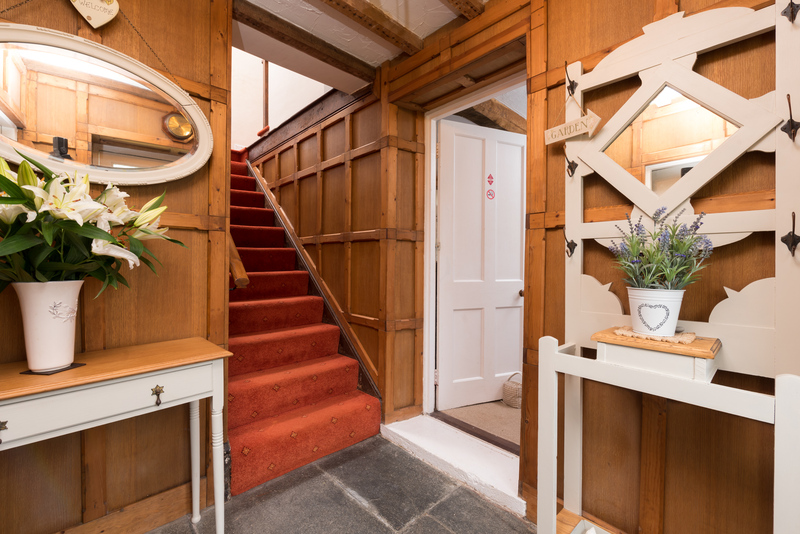 A two storey barn conversion, the Byre is modern throughout with a gorgeous wood burner in the open plan lounge that keeps the whole house warm in the winter. 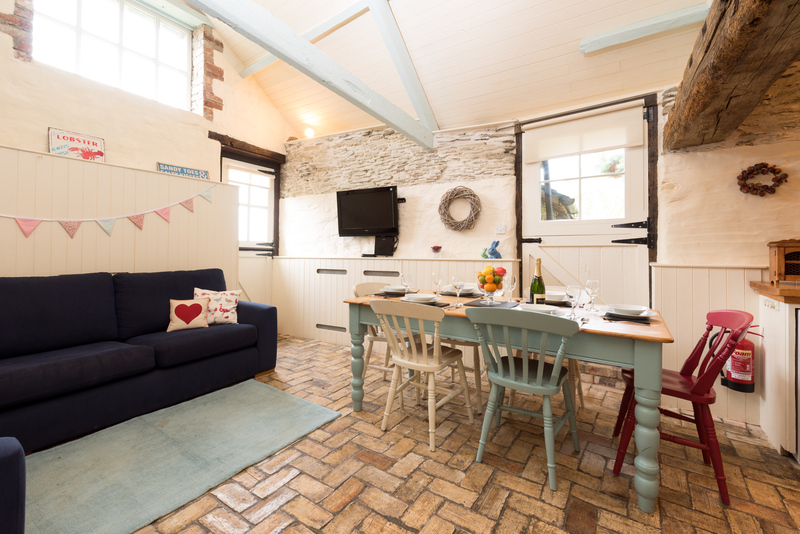 With the benefit of an indoor swimming pool and children’s play area, The Byre at Wheel Farm is great for families looking for a child friendly cottage with fantastic views out towards North Devon from the bedrooms. 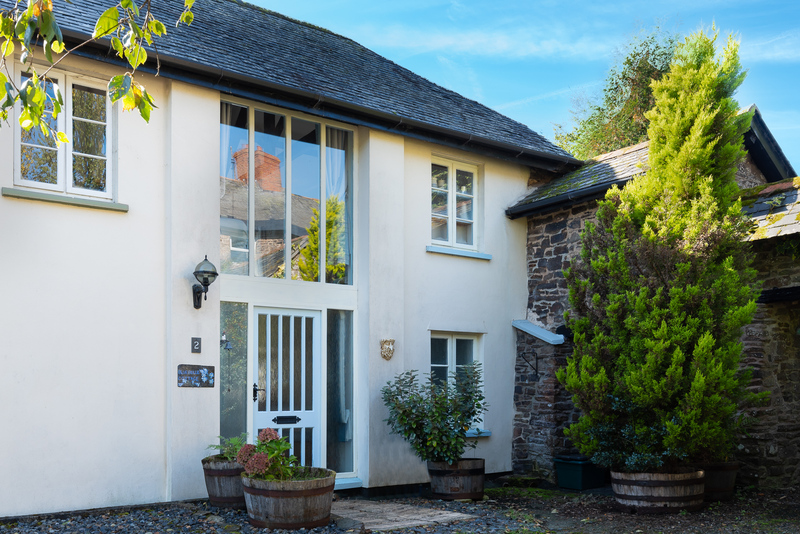 Crooked Lake Cottage is a 3 bedroom self catering cottage in the North Devon countryside that sleeps up to 5 people. 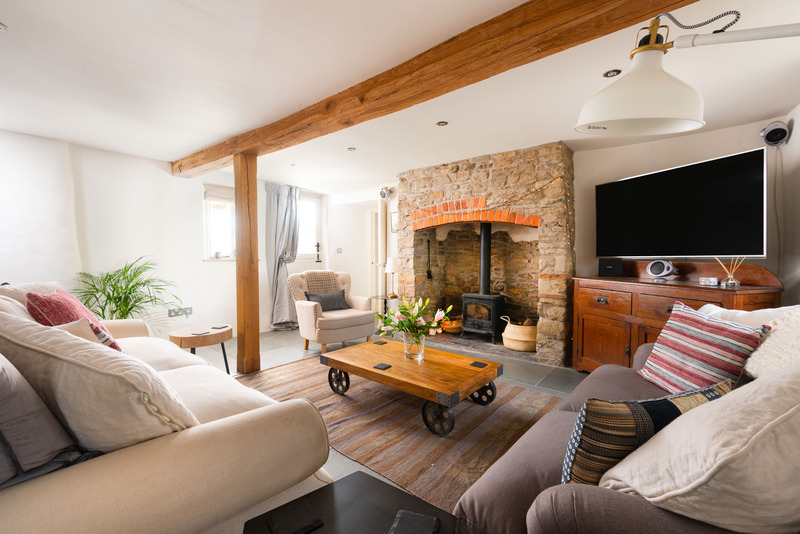 This pretty stone built cottage provides cosy accommodation with a gorgeous lounge featuring an inglenook fireplace and wood burner. 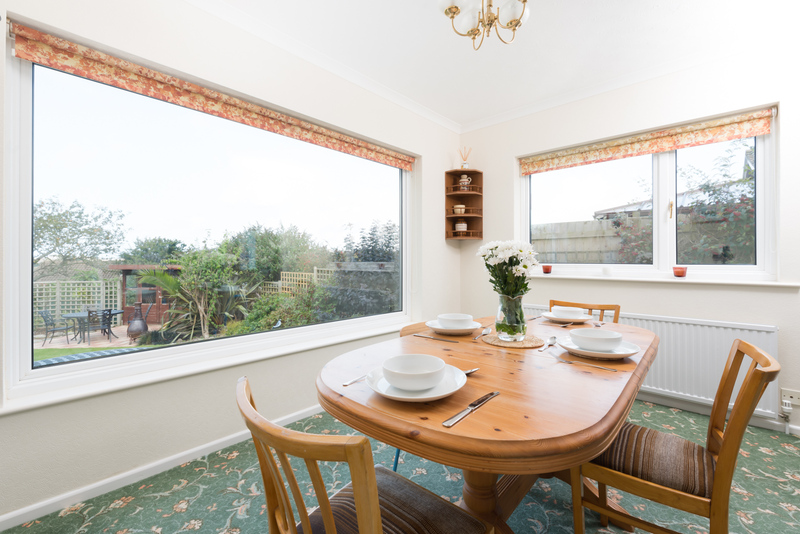 Nested in beautiful countryside, Crooked Lake is a perfect retreat if you are looking for a peaceful location and yet has plenty to do and see nearby and is within easy reach of the coast and glorious beaches. 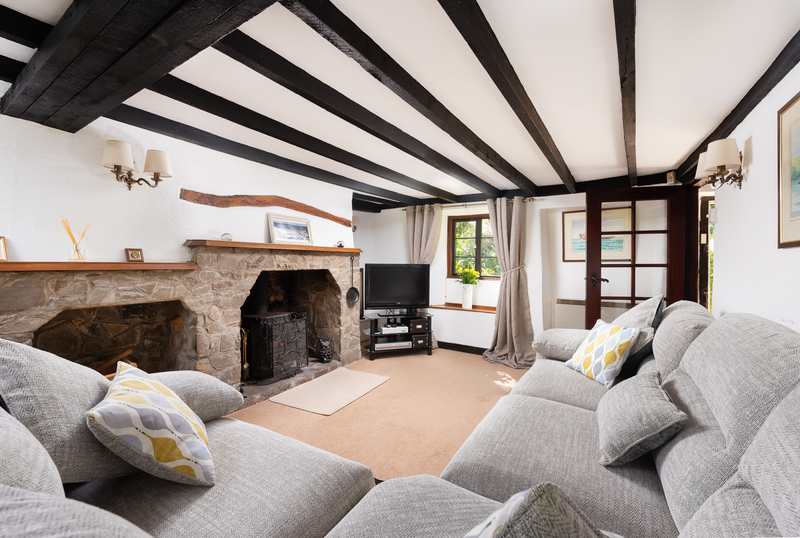 Braefoot Cottage is one of six renovated holiday lets at Lower Aylescott Cottages located just outside the picturesque North Devon village of West Down, home to a fantastic village shop and pub. 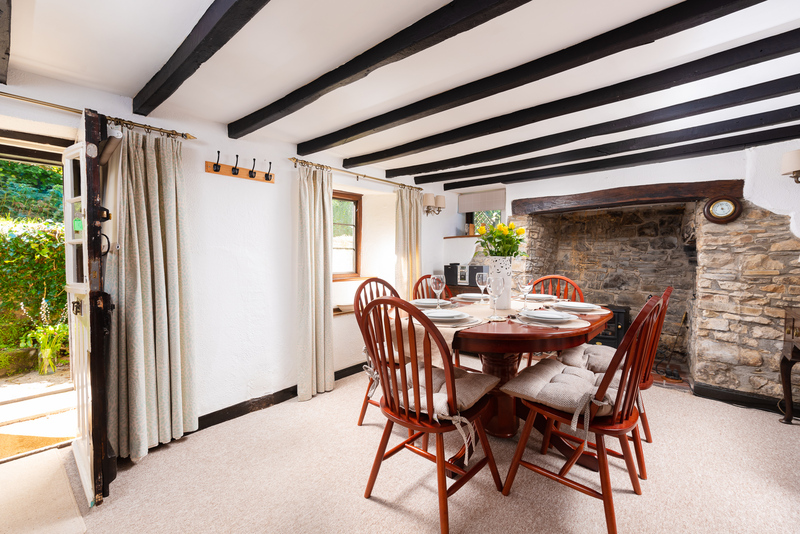 This delightful cottage sleeps 4 guests in two bedrooms and offers the perfect base for families who are holidaying with young children. 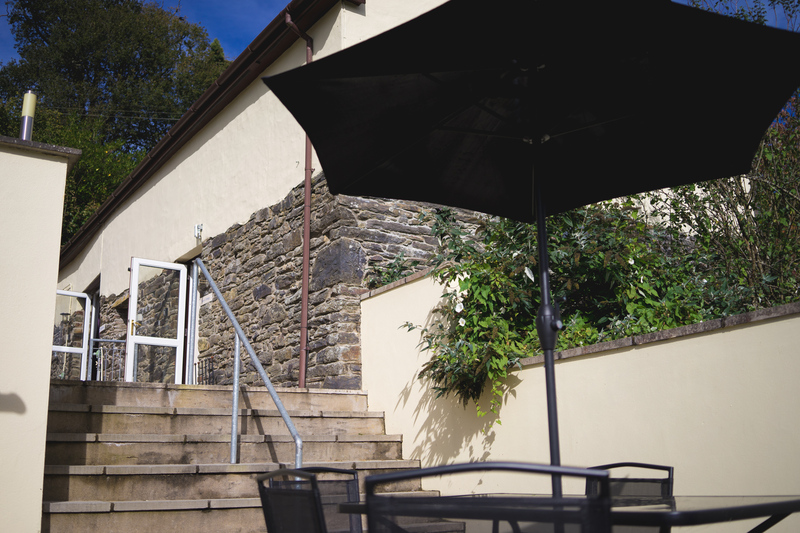 There is plenty of charm and character combined with modern day furnishings and comforts to offer excellent self-catering accommodation. 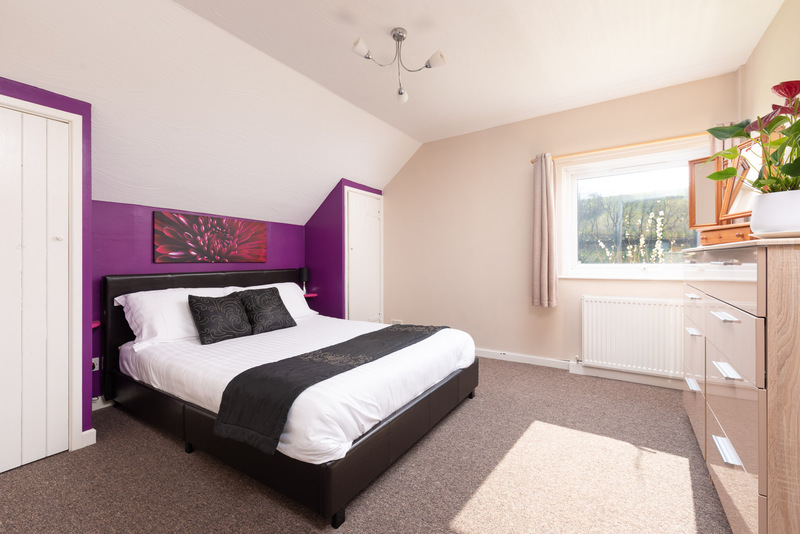 The award winning beaches at Woolacombe, the popular Victorian seaside of Ilfracombe, local family attractions such as Combe Martin Wildlife and Dinosaur Park and Exmoor Zoo are all just a short drive away. 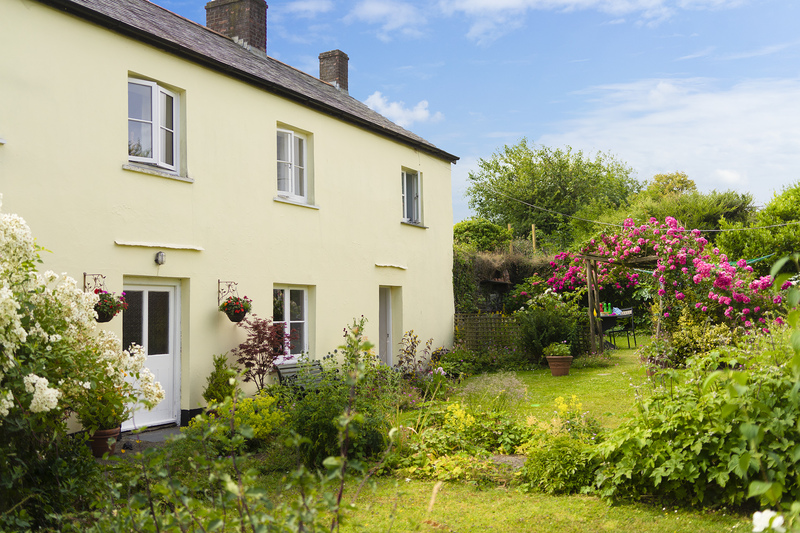 The Shippen is a 2 bedroom cottage in Fowey, a short stroll to Readymoney Cove and located in a tranquil area surrounded by landscaped gardens. 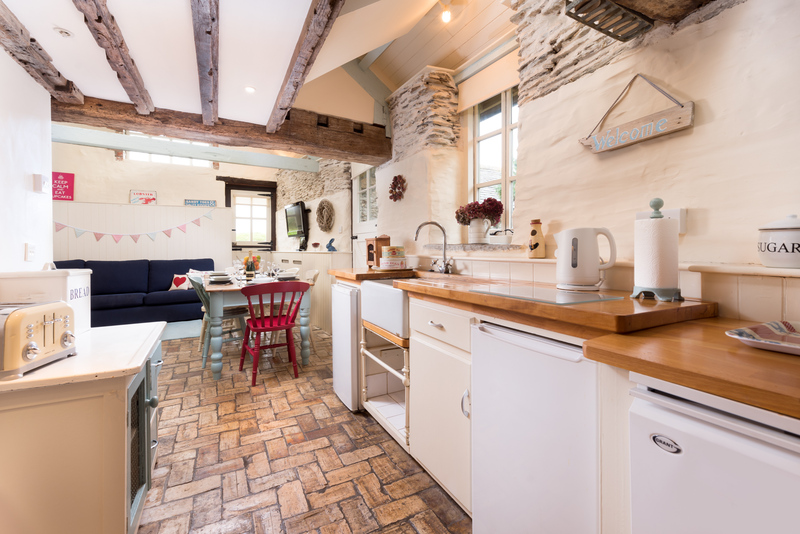 The Shippen is a dog friendly cottage that sleeps 4 people, with a character lounge with wood burner and a kitchen to the side. 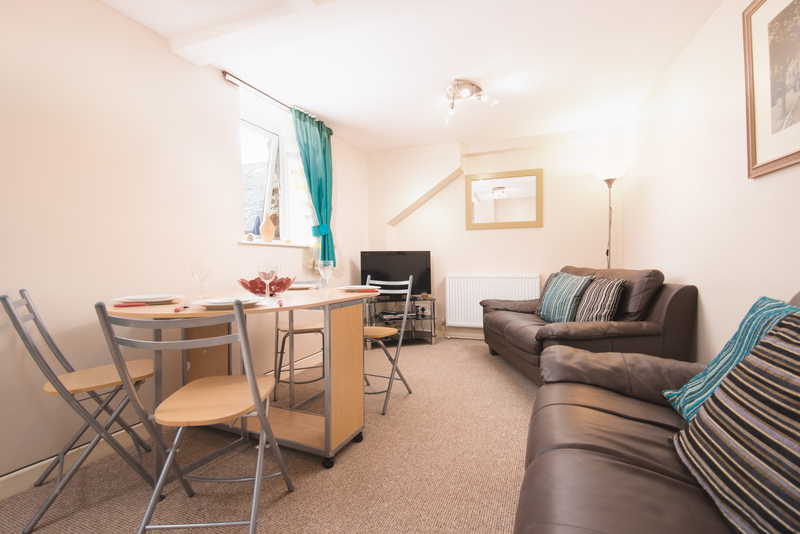 There is a private terrace and front garden as well as access to shared landscaped gardens. 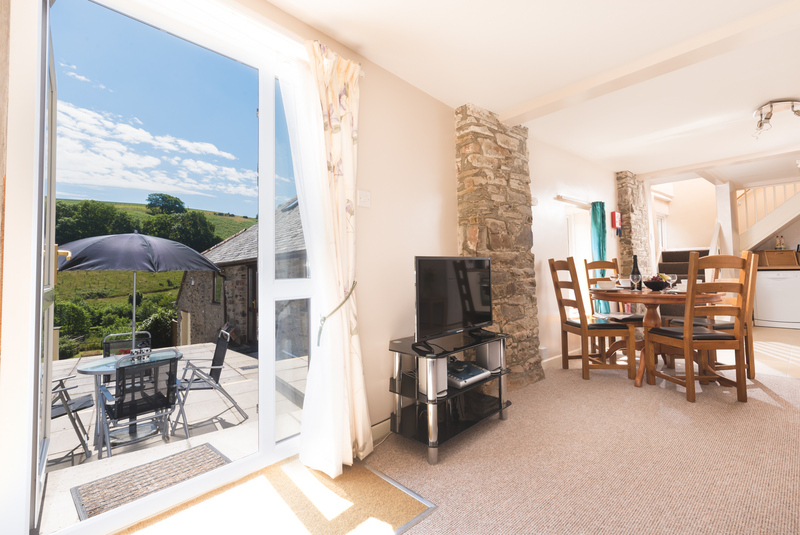 Close to the popular Cornish town of Fowey, the Shippen is ideal for a family looking for character and a peacful setting. 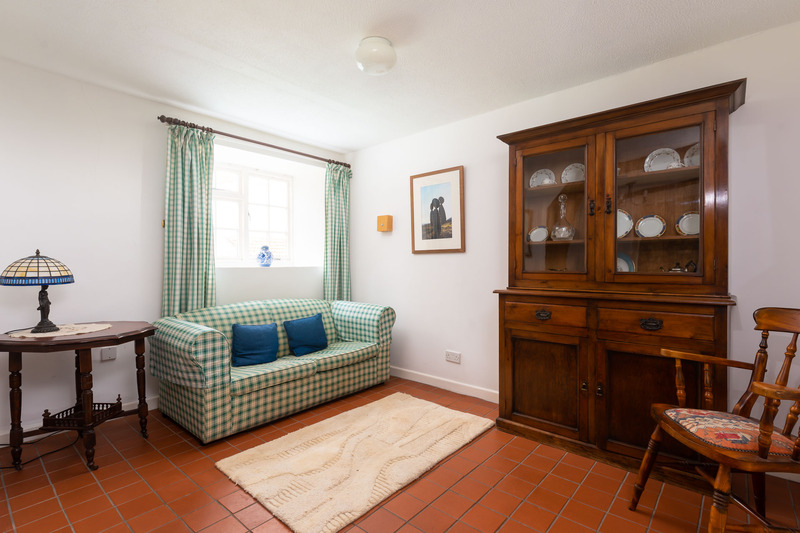 Smithy Cottage at Lower Aylescott is a lovely cosy cottage set in a wonderful quiet and peaceful location surrounded by beautiful North Devon countryside but still within easy access to the coast. 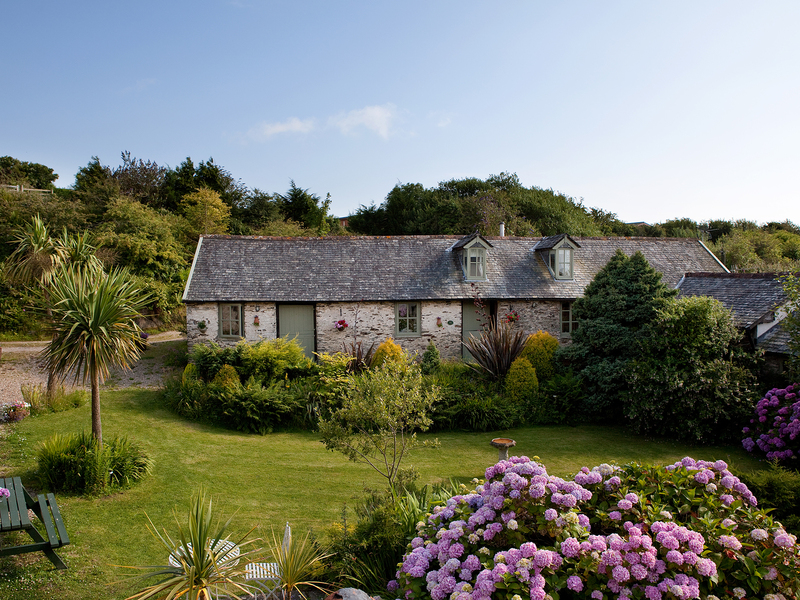 An ideal choice for couples and families wishing to enjoy both Devon's beaches and glorious countryside. 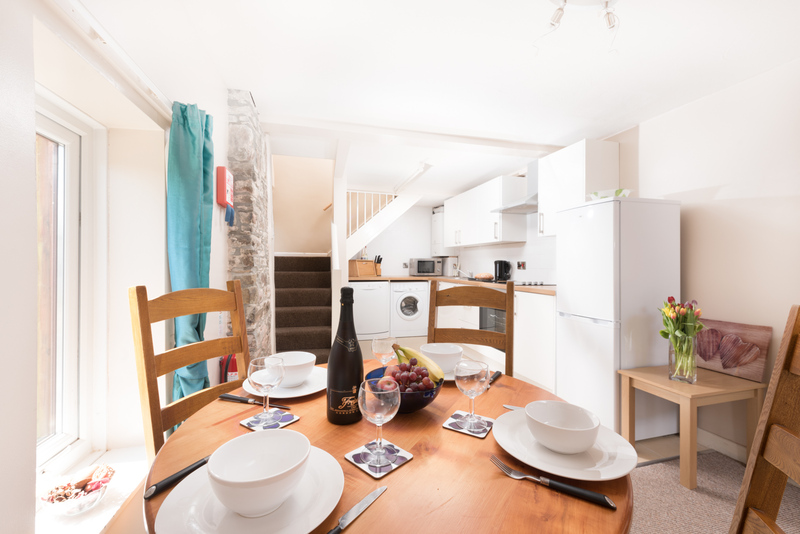 Enjoy a last minute break at Smithy Cottage ar Lower Aylescott. 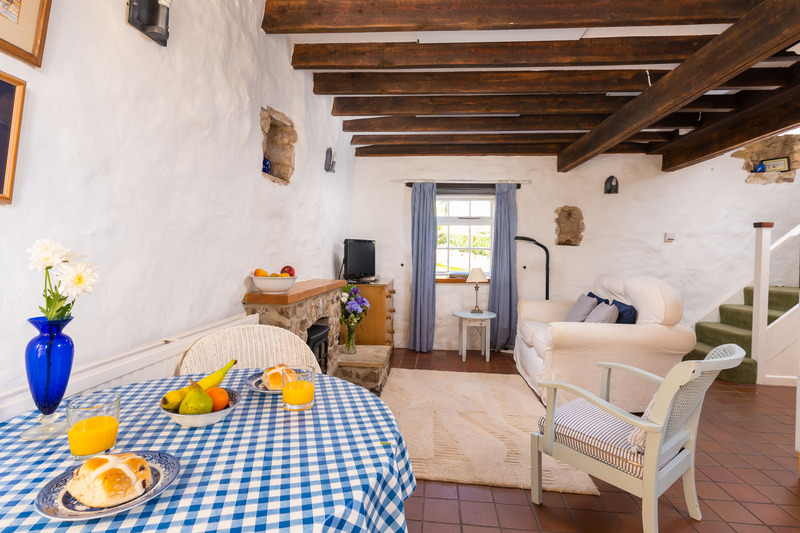 This cosy countryside cottage offers a fantastic 15% discount on all last minute holidays booked within 14 days of arrival. 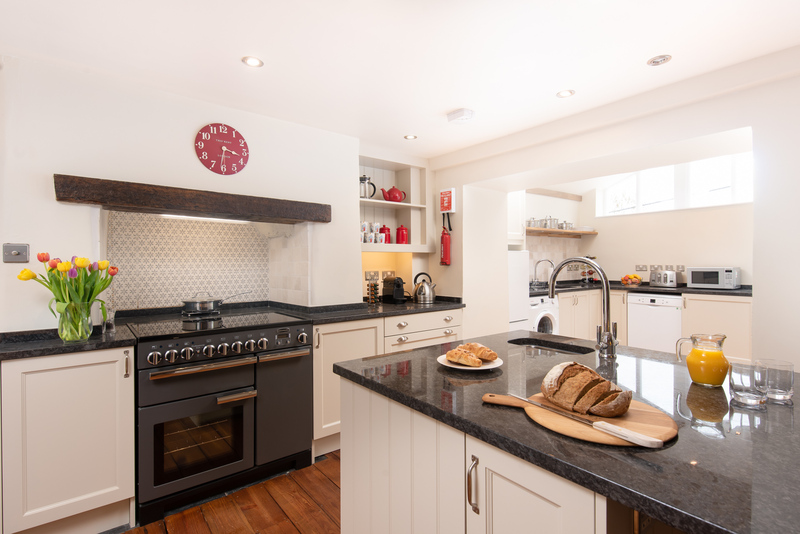 Royd Cottage at Lower Aylescott is a delightful countryside cottage that has been thoughtfully renovated and furnished to offer everything couples and families could need on a self-catering holiday in Devon. 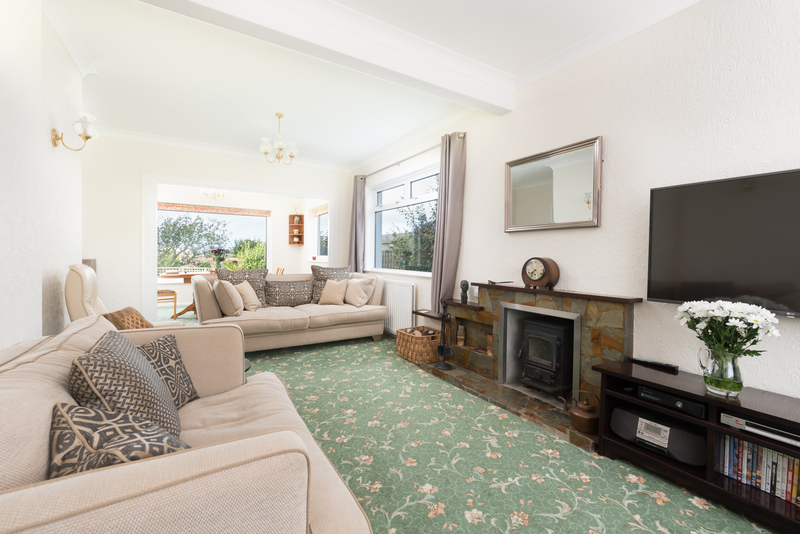 Surrounded by glorious North Devon countryside just outside West Down, this two bedroom property enjoys a wonderful peaceful location yet is within reach to the coast and the beaches at Woolacombe and Saunton. 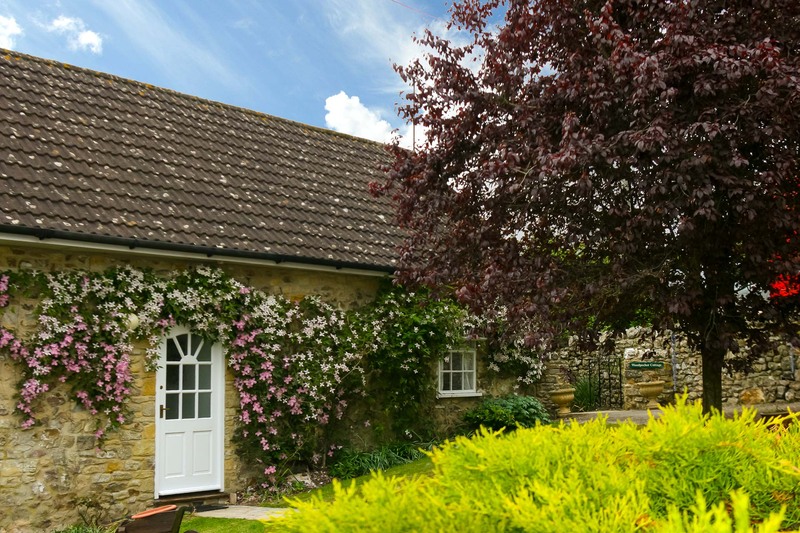 Enjoy a 15% saving on a last minute holiday at Royd Cottage at Lowers Aylescott. This discount will be applied to all last minute breaks booked within 14 days of arrive. 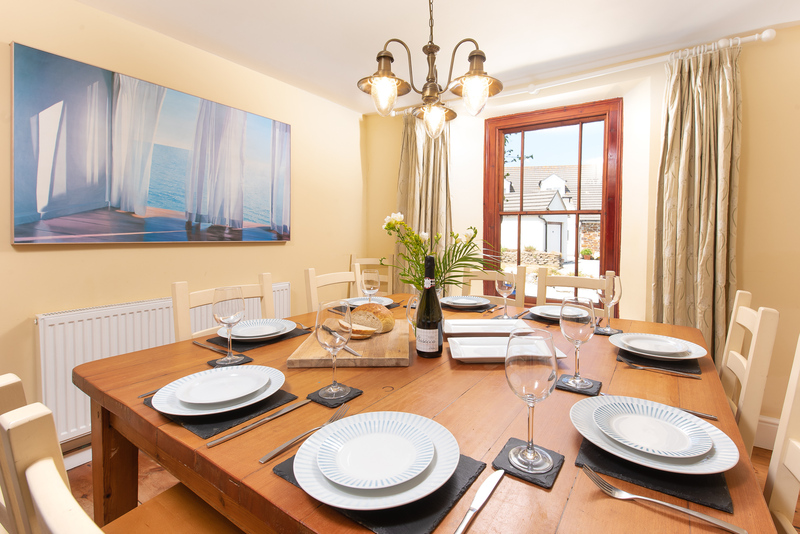 Treat family and friends to a special last minute getaway in Devon at Royd Cottage today. 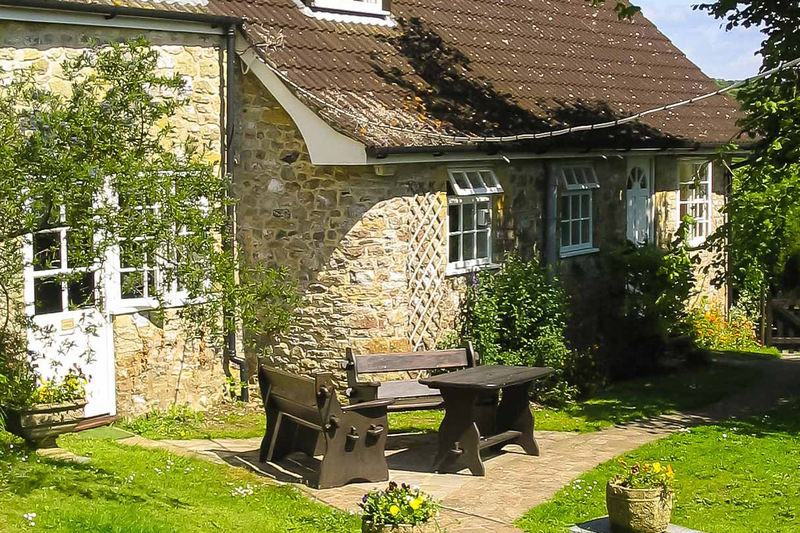 Nuthatch Cottage, a spacious countryside cottage within the Blackdown Hills, near to Membury and Axminster in Devon. 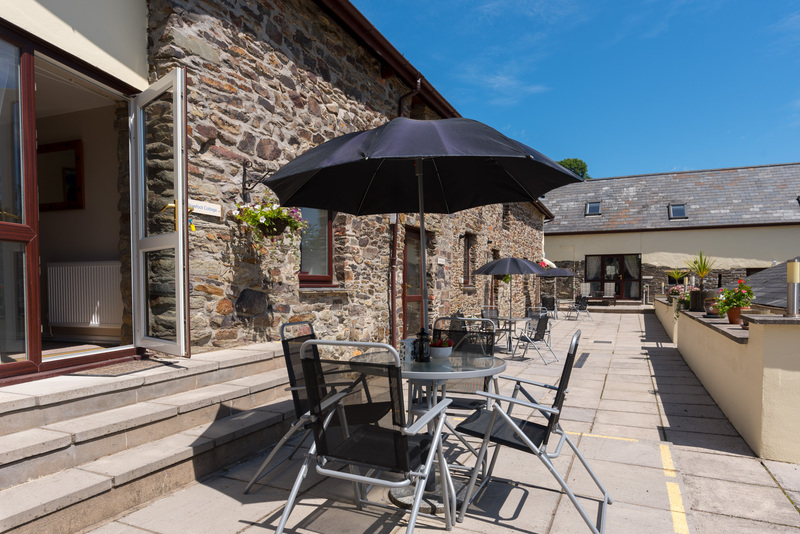 This spacious dog friendly self-catering property comfortably sleeps up to 4 in 2 bedrooms, but can accommodate a further 2 guests on a sofa bed and enjoys its own private gardens as well as communal gardens. Surprisingly close to the Jurassic coast and the South Devon beaches as well as being surrounded by many wonderful walks in an Area of Outstanding Beauty, it’s the perfect base for families and couples looking to explore the two counties - Devon and Dorset. 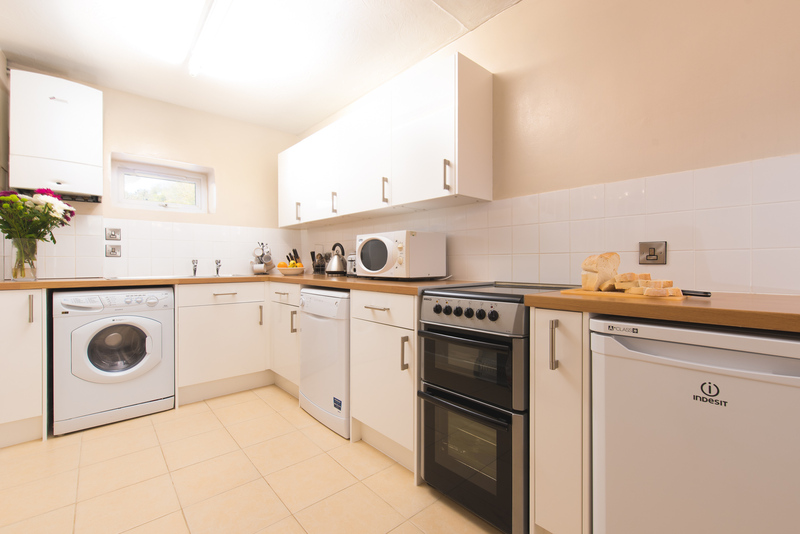 Pretty one bedroom cottage with open plan kitchen-diner with a well equipped kitchen including a washing machine, microwave and electric cooker. The cottage has a pretty rear garden with patio furniture and plants. The garden opens to a path leading to the woods and lovely walks beyond. 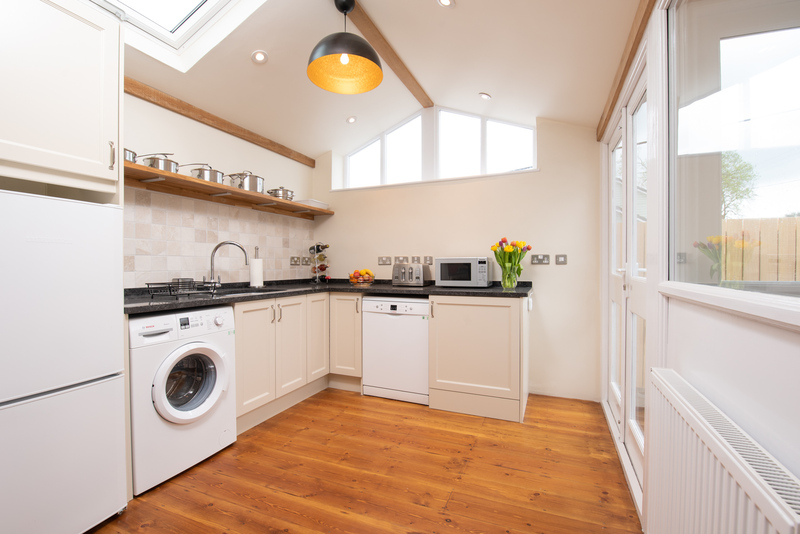 Woodpecker Cottage is a pretty one bedroom cottage that sleeps two at Lea Hill Cottages, near the village of Membury in Devon. 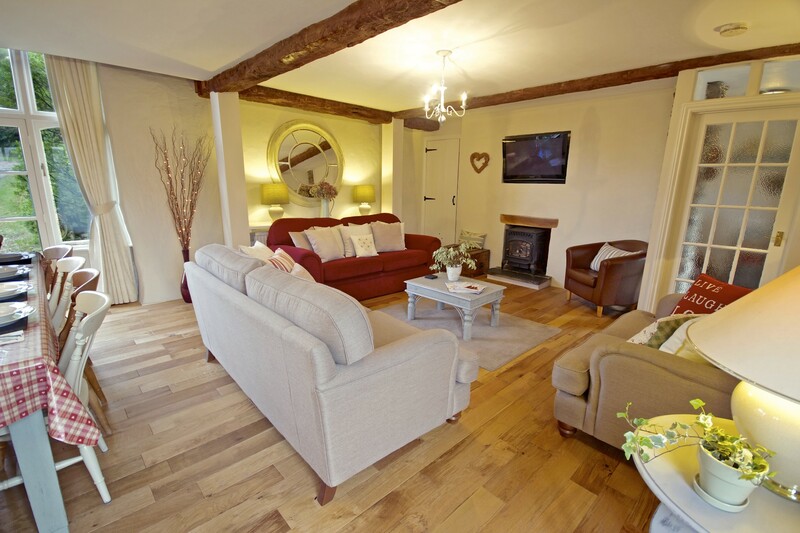 Woodpecker Cottage has plenty of space for couples and their pets (it welcomes up to 4 dogs!) 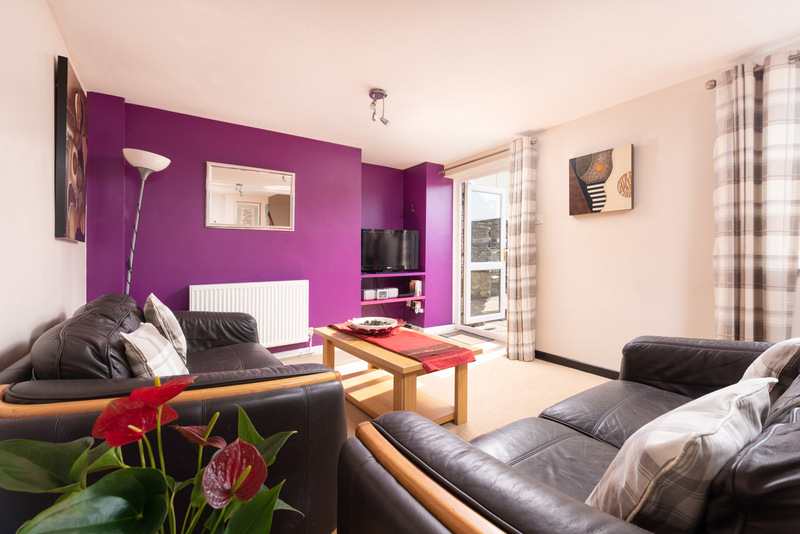 in its charming open plan living area, spacious double bedroom and private garden. 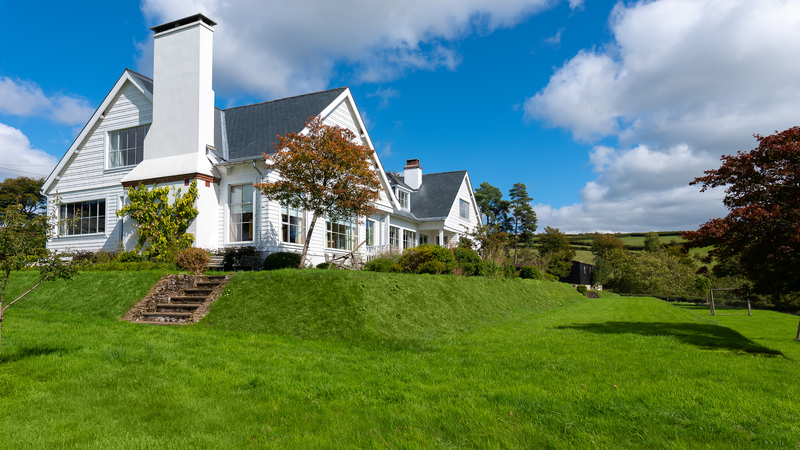 Surrounded by many wonderful walks within the Blackdown Hills, and a short drive to the Jurassic coast, it offers a fabulous base for couples looking to explore Devon and Dorset.